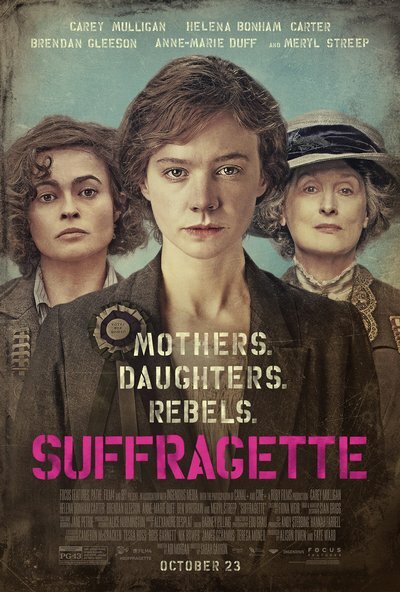 Story: Suffragette is a moving drama that will empower all who are striving for equal rights in our own day and age. The stirring story, inspired by the early-20th-century campaign by the suffragettes for the right of women to vote, centres on Maud (played by Carey Mulligan), a working wife and mother who comes to realize that she must fight for her dignity both at home and in her workplace. Realising that she is not alone, she becomes an activist alongside other brave women from all walks of life. The early efforts at resistance were passive but as the women faced increasingly aggressive police action, the suffragettes become galvanized - risking their very lives to ensure that women's rights would be recognised and respected.